The UK’s largest provider of professionally organised Supercar Driving Experiences – with by far the best Trip Advisor reviews of any other competitor! Our office will be closed from Friday 19th to Monday 22nd of April. Normal office hours resume Tuesday 23rd April. Gift vouchers are available online for instant email delivery! We will be heading to Castle Combe Circuit on Sunday 16th June for our special Junior Only event day! Call us on: 01675 433 800, for more information! Packages can be found under the "Junior Experiences" tab. We have Pay and Drive available on the day. Come with your Driving Licence and drive a Supercar! Credible and trustworthy: We’re proud to supply our Supercar Driving Experience’s to all the major High Street outlets including M&S John Lewis & Selfridges. Our loyal customers love us! 40% of our customers come back to us multiple times! 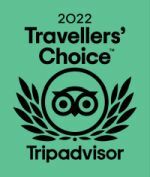 Check out the TripAdvisor links on this page to see why we’ve been awarded a Certificate of Excellence three years running! We don’t do cheap – just tremendous quality and fantastic value for money! 6th Gear Experience are proud to operate from superb dedicated venues, as well as owning and operating the best top flight supercar fleet in the industry – a fact the competition can’t offer! Unrivalled Customer Service! We know your purchase of a 6th Gear Experience Supercar Driving Gift Voucher will probably be for someone special. Rest assured we’ll do our utmost to ensure they have a fantastic time with us. Unlike the competition all our superb value Gift Vouchers are valid for weekend events too with no additional surcharge! You’ll only get this at 6th Gear! 6th Gear Experience was founded in 2006 to offer both public and corporate clients superb Supercar experiences. Andy Cummings was one of the original co-founders and from 2018, now manages the business in its entirety. He is a keen ‘petrolhead’ and the 2014 Radical SR3 European Masters Champion and has also raced at Le- mans. Employing a large contingent of full time staff based at its HQ in Solihull together with around 100 ARDS qualified race instructors, 6th Gear also boasts a state of the art workshop with full bodyshop facilities to maintain its fleet to the highest standards. Interestingly 6th Gear also operates a fleet of branded DAF double-decker articulated race car transporters which are capable of transporting the 30 Supercars owned by the company to its Six UK circuits. Furthermore the company is proud to provide Supercar Driving Experience’s in the form of Gift Vouchers to most of the major High Street chains including M&S, Selfridges, John Lewis and Debenhams. From 2018 onwards, 6th Gear Experience is also very pleased to announce its tyre partnership deal with Avon Tyres, providing unrivaled levels of grip from its premium range of tyres. We never forget that an event day is a very special occasion for our customers and will continually strive to be the best in the industry.